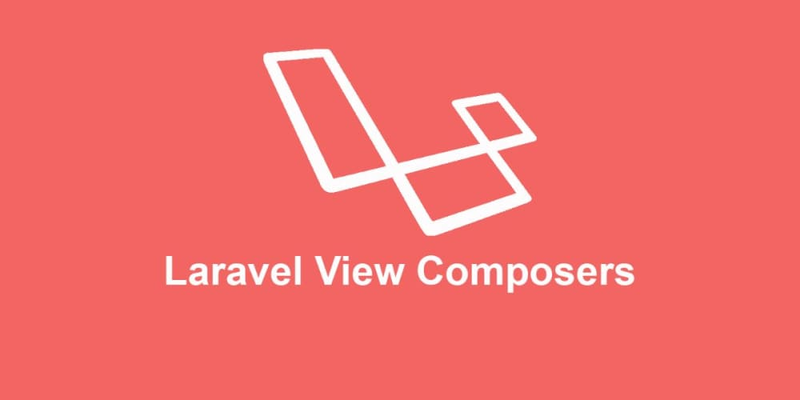 Views hold the presentation logic of a Laravel application. It is served separately from the application logic using laravel&apos;s blade templating engine. Passing data from a controller to a view is as simple as declaring a variable and adding it as a parameter to the returned view helper method. There is no shortage of ways to do this. * as a second parameter. * using the with method. This is all fine and dandy. Well it is until you try passing data to many views. More often than not, we need to get some data on different pages. One such scenario would be information on the navigation bar or footer that we be available across all pages on your website, say, the most recent movie in theatres. For this example, we will use an array of 5 movies to display the latest movie (the last item on the array) on the navigation bar. For this, I will use a boostrap template to setup the navigation bar in resources/views/app.blade.php. The latest movie text on the far right will however be replaced with a title from our movie list to be created later on. Let&apos;s go ahead and create our movie list on the homepage. We are just creating four simple routes. It goes without saying that my idea of latest movies is skewed, but we can overlook that for now. Here is what our homepage looks like now. Awesome! We have our movie list. And now to the business of the day. We will assume that Back to the future, being the last movie on our movie list, is the latest movie, and display it as such on the navigation bar. We now have Back to the future as our latest movie, and rightfully so because Back to the Future 4 was released a week from now in 1985. I cannot make this stuff up. This seems to work. Well until you try navigating to other pages (Try one of foo, bar, baz) created earlier on. This will throw an error. This was expected and by now you must have figured out why this happened. We declared the latest movie variable on the index method of the controller and passed it to the welcome biew. By extension, we made latestMovie available to the navigation bar BUT only to views/welcome.blade.php. When we navigate to /foo, our navigation bar still expects a latestMovie variable to be passed to it from the foo method but we have none to give. Declare the latestMovie value in every other method, and in this case, the movieList too. It goes without saying we will not be doing this. Place the movie information in a service provider&apos;s boot method. You can place it on App/Providers/AppServiceProvider or create one. This quickly becomes inefficient if we are sharing alot of data. While it is possible to get the data in every controller method and pass it to the single view, this approach may be undesirable. View composers, as described from the laravel documentation, bind data to a view every time it is rendered. They clean our code by getting fetching data once and passing it to the view. Add the ComposerServiceProvider class to config/app.php array for providers so that laravel is able to identify it. Laravel will execute a MovieComposer@compose method every time app.blade.php is rendered. This means that every time our navigation bar is loaded, we will be ready to serve it with the latest movie from our view composer. While MovieComposer@compose is the default method to be called, you can overwrite it by specifying your own custom method name in the boot method. * Create a movie composer. The with method will bind the latestMovies to the app view when it is rendered. Notice the we added Illuminate\View\View . We can now get rid of the latestMovie variable and actually remove it from the compact helper method in SampleController@index. We can now access the latest movie on the navigation bar in all our routes. While we seem to have solved one issue, we seem to have created another. we now have two movieList arrays. one in the controller and one in the constructor method in MovieComposer. While this may have been caused by using an array as a simple data source, it may be a good idea to fix it, say, by creating a movie repository. Ideally, the latestMovie value would be gotten from a database using Eloquent. Check out the github repo for this tutorial to see how I created a Movie Repository to get around the redudancy as shown below in MovieComposer and SampleController. Notice that instead of passing a string with the path to MovieComposer, you can also pass a closure. Avid blog reader and fascinated by drones. I play basketball, swim and jog in my free time.